In most places, you need to get Nintendo hardware to play Nintendo console games. Not so in China, where the upcoming launch of the Nvidia Shield has seen a number of older Nintendo games—like New Super Mario Bros., Super Mario Galaxy and Twilight Princess—made available for the set-top device. There were rumours this would be happening earlier this year, and as random as they seemed at the time, they’ve been confirmed following a presentation in China this evening as footage was shown from a range of old Wii games, which are “said to be running in HD”. 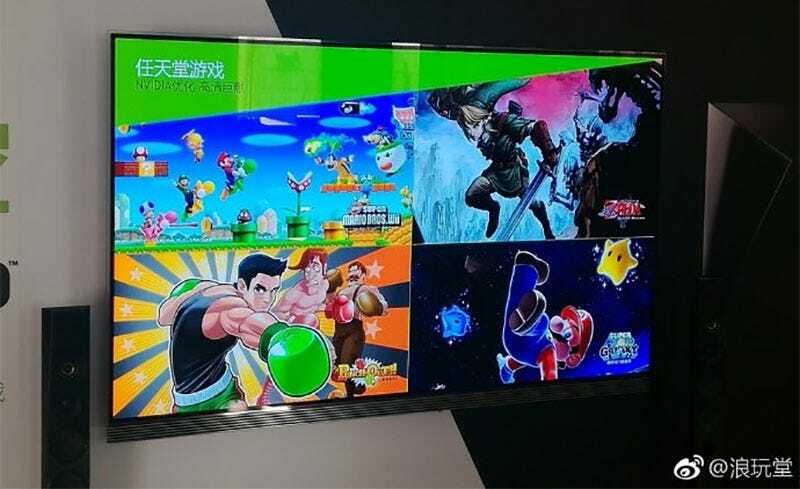 The games are appearing on the Shield courtesy of a local partnership between Nvidia, Chinese video company iQiyi and Nintendo, so don’t go expecting these to ever appear in the West. There’s more video of NSMB in action here.